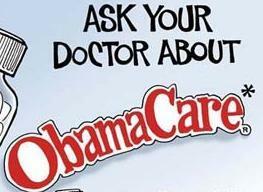 We have many patients asking about the Affordable Care Act, or ACA, also called “Obamacare”. The date is approaching in which all American citizens will be required to have health insurance. We hope that your employers have already delivered their notices telling you whether they will be offering Healthcare Coverage or not. This notice must be handed to you or first class mailed to all employees by October 1st, 2013. If you haven’t heard anything from your employer yet, it won’t hurt to ask. We want all our patients and citizens of Westland and Livonia Michigan being aware of their options. If your employer is not offering healthcare coverage, you can find healthcare in the government approved healthcare marketplace. All individuals must be covered with healthcare insurance by March 31st, 2014, if you don not have it, you must buy it. 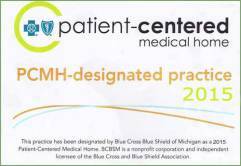 (Open enrollment starts October 1st, 2013.) If a citizen of Westland or Livonia or any other city in Michigan does not obtain health care coverage by then, they will face a fine. We know there are many more facts out there about this new Affordable Healthcare Act, information on if your employer is offering it, to spousal insurance, mandates, subsidies and more. At Millenium Medical Group West; the Westland Clinic center can help guide you through what you need to do to get healthcare coverage for you and your family before the time is up. Call our offices today or go to WWW.DOL.GOV/EBSA/HEALTHREFORM to find more detailed information from the government pertaining to the Affordable Care Act.